If you’re a high achieving woman entrepreneur who is ready to Breakthrough in every area of her life and business who is looking for a safe place to spend quality time with big thinkers, risk takers, action takers and thought leaders welcome home. If you’re an Emerging, Expanding or Established Entrepreneur (ie. You’re clear about your business; you’ve got clients and are making money. But, you know your business could be more successful. Your current goal is to expand your success by multiplying your results, profitability, scalability and balance. You’re also ready to build a team or have a few people supporting you, and your revenue is between $100K- $500K each year. ), you’ll love the 12 month Grow Mastermind Program. We have two (2) levels, one of which is sure to meet your needs. Our business building mastermind is filled with business owners who hold advanced degrees (MD, PhD, JD, plus CPAs), profitably impacting the world in their own right. 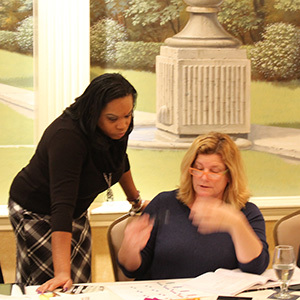 This program boasts an intimate business-building encounter with award-winning business coach and strategist, Darnyelle Jervey Harmon, MBA and team plus a group of your advancing entrepreneur peers. In this program, we talk about growing a REAL business – with emphasis on the REAL – there is no “playing small”, “just starting out” conversation at this level. As a part of Darnyelle’s signature hybrid program (part group, part private), you can expect to grow your business by 50-600% in the next 12 months. 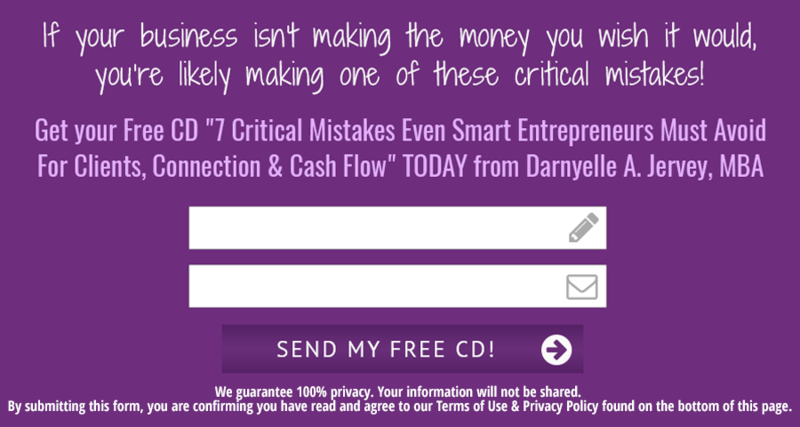 You’ll get private access to Darnyelle, powerful strategy, insightful masterminding with your peers and it’s all back by our award winning business growth curriculum. 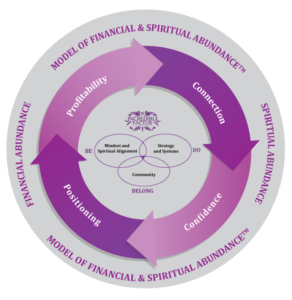 This growth is compounded by introducing your business to the Model of Financial and Spiritual Abundance™. Kick Start Strategy Call with Darnyelle (plus recording). 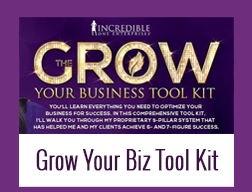 To get your program moving in the growth direction, you’ll get to spend a detailed call with Darnyelle determining the right strategy and set milestones for the path to grow your business over the next year. 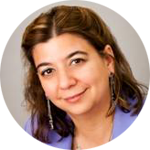 Unlimited Laser Coaching via Voxer access to Darnyelle When you need a quick infusion, pep talk or mindset check, Darnyelle will be available for quick calls to keep you moving toward growth, you may enjoy six laser calls over your twelve month program. *Three* 2 Day LIVE Business Building Retreats for continuous learning, business building strategy, best practices, and high-level masterminding based on the Pillars of Business Optimization™. The meetings, held in Newark, Delaware, are designed to focus on high growth strategies in all areas of your business so that you can cross the 6-figure mark in record time. 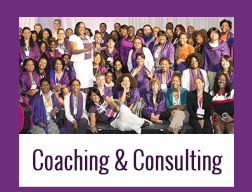 These retreats offer direct access and time for individual coaching and Q & A, as well as hot seats and business marketing makeovers, including best demonstrated practices from Darnyelle and other Unleash members, as well as dedicated masterminding time on your specific areas of need. Retreats are held Jan, July and October of each year. To keep us on track in your program, in April of your year, we will hold a virtual 1/2 day retreat to focus on your business growth plan for the 2nd quarter of your business. Breakthrough in Life & Business Event General Registration Ticket. As a GROW client, you’ll get to join us for an immersive experience with Darnyelle in-person at one our annual live event serving as your 4th retreat. You’ll have special recognition as an Incredible Factor University client. Starting in 2019, The Breakthrough Event will occur in April or May of each year. *Twenty-Four* Incredible Factor Fundamentals Modules. 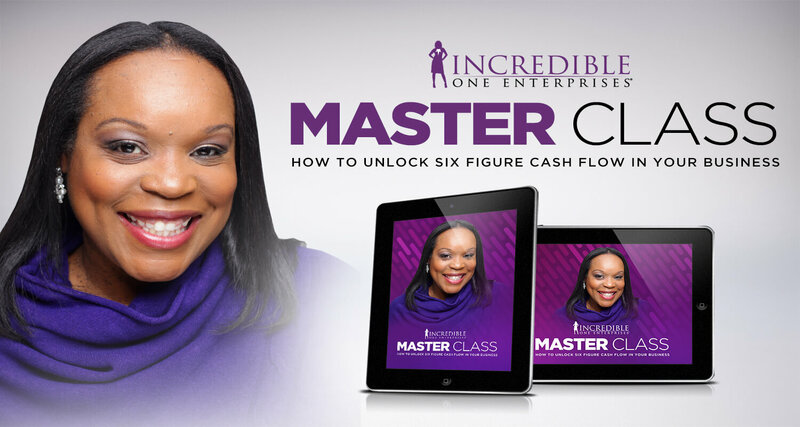 You’ll gain access to the foundational Incredible Factor University curriculum. It is 24 modules, with instant access to all modules, although you’ll get email prompts to work on two (2) each month. 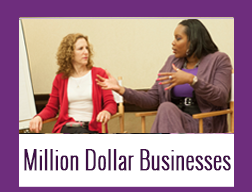 These modules are designed to teach you step by step how to build a solid, thriving business. As one client calls it, you’ll be going to Business School. Everything you need to know is included, no worries, we’ve got you covered! *Twelve* Revenue Acceleration Modules. While our curriculum is rock solid, there are a few topics we want to offer a “deep-dive” on so that you accelerate your results for what’s most important – attracting new clients and making more money in your business. These bonus training modules are designed for just that! *Four* Mindset Mastery Modules. To ensure that your mindset shifts and allows you to experience a quantum leap, we have four dedicated modules to help you shift. *Twelve* Next Level Modules. These modules focus on topics that position you to grow your business and thought leadership platform. With modules like how to become a best selling author, how to get access to corporate sponsorship, how to manage client collections and media, you’ll have everything you need to position your next level. Incredible Factor Assessments. First, you’ll take my 170+ question assessment so I can find out about the holes in your business. Then, to help you to clarify your Incredible Factor, we use a few assessments, to help us help you grow your business faster. You’ll take the Kolbe Assessment, Strengths Finder 2.0 and the Fascinate Index. All three combine to tell us very specifically how to help you with your sales and marketing plans that you will use to grow your business. Trust me, these assessments are game changers! 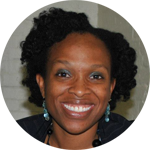 *Twice-Monthly* Monthly Group Laser Coaching/Q & A Calls with Darnyelle (plus recordings). The group calls are for direction from Darnyelle, as well as receiving and providing input from the group. Content is offered on the calls in the form of “what’s working now”. Calls are intimate enough to foster a strong connection with your peers. During these calls, we evaluate your goals and what is standing in the way of you achieving them. We review your KPIs and leverage the power of your numbers to strategically move your business forward. During these calls, you can expect to be stretched. Because of Darnyelle’s commitment to “No Business Left Behind”. you can not hide from her or your business, you will have an opportunity to speak with her and talk through what you need most to move your business forward. No calls in November or April. Daily and Weekly Accountability. As an entrepreneur, it’s easy to get distracted and having someone to hold you accountable to your goals will be exactly what you need to grow your business consistently. Without implementation, there are no results so your daily accountability buddy will help keep you focused. This level of accountability creates exceptional results. To help you know where to focus each day, you’ll receive a daily accountability prompt from Darnyelle to get each day started toward revenue generation. Accountability Partner. Based on your business growth stage and Kolbe A score, you’ll be matched with an accountability buddy who will strengthen and compliment your goals to move your business forward. Every woman in the program is an advancing woman of faith. She holds an advanced degree and expertise to change the world. Accountability partners rotate every retreat. Professionally designed and delivered templates and checklists and customized coursework that clearly outline all of the systems and strategies we determine are best for your business. These systems can be used for the life of your business and will vastly increase both the profitability and the value of your company. This step by step guidance to move your business forward. Exclusive Client Forum. Communicate with your peers and share your success, ask for their opinions, etc and grow your business while building relationships for life and networking. Unleash Kick Start Mindset Program. Because 95% of your success is mindset we are helping to you to kick start your 12 month program with our 7 steps to Unleash Your Next breakthrough. (Pay in Full Bonus) Bring your spouse, business partner or key employee to business building retreats for discounted rate. Having your support team in place as Darnyelle helps you to set and map out your quarter business building goals is a true game changer. As you step into your role as CEO, you’ll need to have the right team on board to support the vision of your implementation plan. Bonus Day at each Retreat. Before our Elite level clients arrive, you’ll be treated to an intimate bonus day with Darnyelle and team. During this bonus day, you’ll get more customized guidance to grow your business. Text Coaching as Needed. At this level, you’ll receive Darnyelle’s cell phone and have the ability to send her text messages for quick questions and check ins. Unlimited Email Access to Darnyelle for Any of Your Business Building Needs. 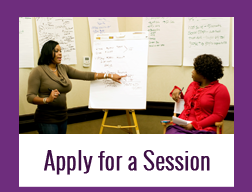 To begin the process of becoming a GROW level client, apply for a discovery session with an Incredible Factor Coach. “Before hiring Darnyelle, I had made my first six figures in my business – but I wasn’t getting ahead. Then, just 6 months later and I exceeded $250,000 due to Darnyelle’s strategic guidance, amazing ideas and accountability. In our second year, I grew my business to $500,000 and positioned it for a merger. 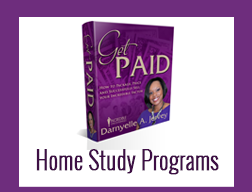 Darnyelle is a wealth of information and she truly understands how to grow a business. Through her insight, I built my team, increased my clients and I even raised my rates – all while positioning my business for massive growth. 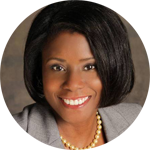 “Before working with Darnyelle, I had a fairly successful business, but I definitely had room for growth. In hiring Darnyelle, I was immediately taught strategies to raise my rates and now I’m getting new clients to pay me what I’m worth! I have also consistently closed more clients, even closing 12 new clients in 10 days. In fact, I’ve grown my business by 233% in working directly with Darnyelle. Ready to Join and Get RESULTS? If you’re ready to BUILD a business, holistically. I’m not just about marketing and branding, I want to look at your ENTIRE business – multiply your income by learning a proven system to fill your practice with ideal, paying clients over the next 12 months, while receiving expert coaching, customized branding and marketing strategy, personal development and business growth training to take your business to the next level with the support of other high-achieving entrepreneurs, this program is for you.